With more than two decades of experience, FIT Additive Manufacturing Group is a company that provides leading services in rapid prototyping and additive manufacturing technologies. Headquartered in Germany, FIT serves customers in the automotive, medical and machinery industries. The company is said to operate the world’s largest aluminium AM facility in Lupburg, Germany, and offers a broad portfolio of AM solutions, as well as a number of conventional production technologies. This week, we speak with the founder and CEO, Carl Fruth, to learn more about the company’s services, success stories and how additive manufacturing empowers companies to radically innovate. Could you tell me a bit about FIT and the services you provide? We’re primarily an additive manufacturing company that offers a long list of services. We use a diverse range of AM technologies in-house for the manufacture of plastic and metal parts. These include laser melting, EBM, Polyjet, SLA, SLS, Binder Jetting and WAAM. In addition to additive, we also provide other manufacturing services, such as injection moulding, using additively manufactured tools, vacuum casting and CNC milling. Finally, we also offer design, engineering, scanning and post-processing services. Currently, which industries are you seeing the most demand from? We offer two main types of services: one is prototyping and the other is the production of final components using additive manufacturing. For prototyping, we really serve all development departments across all industries. There isn’t really a vertical we don’t address. For the production of functional components, the biggest fields are, unsurprisingly, medical, motorsport and industrial machinery. You’ve recently invested in the LightSpeed metal 3D printing system, alongside the network of EOS machines you already have. How are all of these technologies transforming your business? 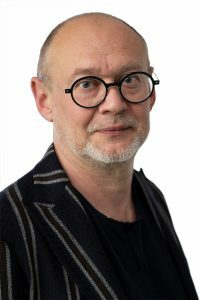 At FIT, we’ve made the decision to gather a lot of additive technologies under one roof because we don’t see one technology leading the field. I think each technology has its advantages and disadvantages — for one application, it will make sense to use one technology, while for another application, using another technology will be more suitable. FIT wants to give guidance and the broadest choice of technologies possible for its customers, and that’s why we have so many different technologies in the factory. When buying equipment from a special supplier for a special technology, as was in the case with LightSpeed system, we do so because we think that by offering this kind of services and manufacturing solutions we can bring more value to our customers. FIT has also recently announced its Spare Parts on Demand services. Could you tell me a bit more about what you’re offering here, and why AM is ideal for producing spare parts? An important thing to note is that there are only some spare parts for which additive offers a solution. Not all spare parts can be 3D-printed. 3D printing spare parts makes sense, for example, when you have equipment for which you can no longer source spare parts any other way. If you’re unable to source a spare part for a machine or a system you’re currently using, this means you’ll be unable to operate your equipment. This, of course, will lead to serious downtime expenses. Additive manufacturing gives you more flexibility in this regard, as it can produce a replacement part relatively quickly, thereby reducing the downtime. If you need to get a spare part for, let’s say, a train or a manufacturing system, then AM is one solution to generate a new spare part. But again, it’s not a solution for any spare part; it will only be suitable for specific components. Leading on from that, how can you identify applications which are suitable for AM? You can’t identify a component that can be manufactured with AM without first understanding the technology quite well. At FIT, we’re quite experienced in using AM technologies. 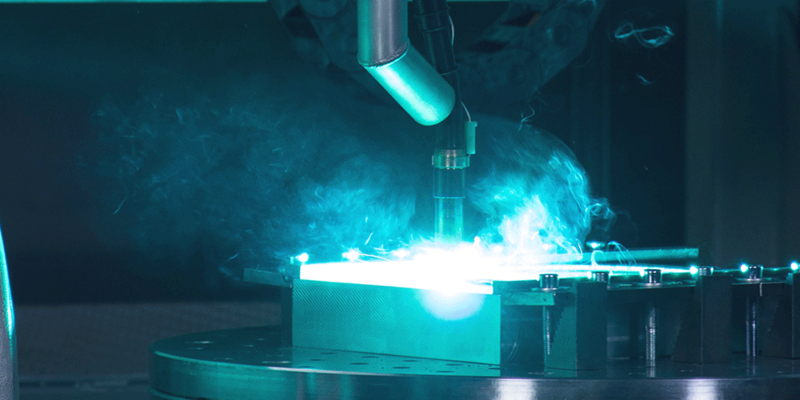 Most of our customers have an idea about additive manufacturing, but they have no clue about how to effectively use AM for the production of real components. That means that their end part will not fulfil the requirements regarding function, quality and price. So this is where we assist our customers to make the right decision. We try to understand the requirements they have and also guide the customer to find out if the requirements can be fulfilled by using AM. Are there any success stories you can share? Yes, we have quite a number of success stories, although most of the things we do are quite confidential. That said, we produced a spare part of a sandbox housing for German railway company, Deutsche Bahn. Essentially, a sandbox is a part of a brake system which is responsible for storing the sand that is spread in front of train’s wheels to improve traction. The original manufacturer of that component ceased production, meaning that Deutsche Bahn wasn’t able to quickly procure a replacement part in the case if a sandbox breaks down. The downtime cost for a train is quite high per day, so to be able to quickly respond to a potential failure Deutsche Bahn looked for alternatives to manufacture the spare part and turned to us. We re-engineered the component and then additively manufactured it from titanium using EBM. The capability of additive manufacturing to quickly produce a spare part which was no longer in production has been the key reason Deutsche Bahn turned to this technology. Innovation is something that FIT speaks a lot about. What does innovation mean to you? We believe that innovation should help our customers, in the first instance. We manufacture components. However, the real innovation lies in what’s done by the customer. For example, when we use AM for the production of end parts, we’re typically not talking about small modification of an existing part. We’re talking about really new things. This is what we call radical innovation. It’s a very difficult thing to achieve, especially for customers because they don’t have a suitable setup to work with radical innovations. They’re doing linear innovation, which focuses on the incremental improvements in existing products or processes. But AM is not a perfect solution for linear innovation, as it gives an opportunity to develop completely new products and business models. To achieve this, companies should have a stakeholder that will help drive innovation strategy – including innovation with additive. You recently announced a subsidiary in Japan. Why did you pick Japan as a location, and what does the AM market look like there? We’ve identified that Japanese manufacturers, specifically large car manufacturers, are looking to integrate AM into their manufacturing processes. This means that the demand for relevant technologies is increasing in Japan. However, although Japan has a growing demand for AM and a range of high-tech industries, many Japanese companies haven’t had so much experience in using AM because they are typically very good in linear innovations and not in radical innovations. That’s why we opened a subsidiary there, with the goal to help customers to find and develop the right application for AM. By establishing a subsidiary in Japan, we are aiming to open up the Japanese as well as the Asian markets to the innovation opportunities only AM technology can provide. How do you see additive manufacturing evolving and for the next five years? I think that there will be increasingly more companies using AM for the production of components. I think these components will be optimised to perform even better than their traditionally made alternatives. This adoption will mainly come from large companies, at least in the first instance. But the really radical innovation will be done by newer, smaller companies. The additive manufacturing industry is growing, with new applications constantly being developed. Over the coming year, FIT will continue to guide its customers on how they can use AM. We’ll continue to show our customers that specific applications require specific AM technologies. And step by step, we’ll be helping them to design and manufacture radically new products and components. The FIT Additive Manufacturing Group is an international leading industry partner in the field of Additive Manufacturing. As a technology pioneer with around 25 years of experience, the company manufactures prototypes, production tools, 3D printed spare parts, as well as additively manufactured end components for a rich variety of verticals. The AM expert makes the entire chain of 3D printing available, from additive design and engineering through to production and professional finishing options. In addition, FIT also provides numerous conventional technologies such as CNC-milling, injection molding, vacuum casting, or elastomer manufacturing. Group revenue in 2018 was around EUR 25 million. 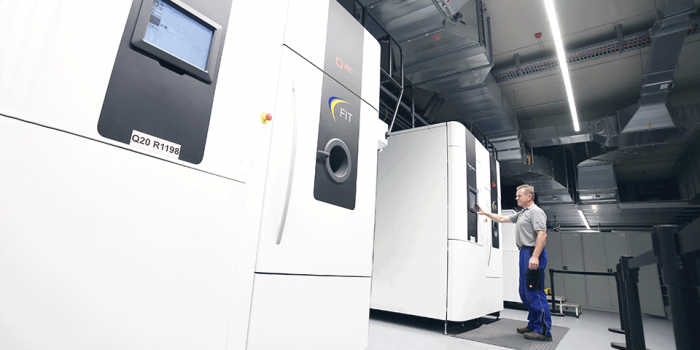 FIT Additive Manufacturing Group currently employs 280 people, most of them at the company’s headquarters in Lupburg, Germany, but also in Brasov (Romania), Zhukovsky (Russian Federation) as well as in Nagoya (Japan), and Peoria (USA).